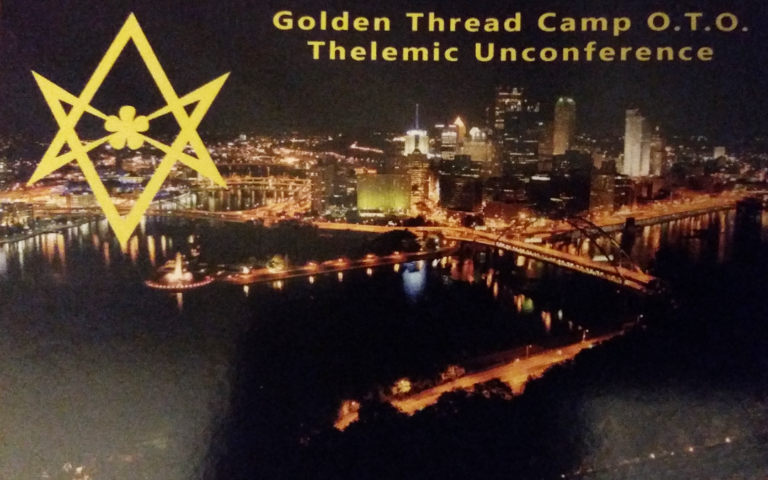 Thelemic Unconference in Pittsburgh June 1-3 – Zero Equals Two! 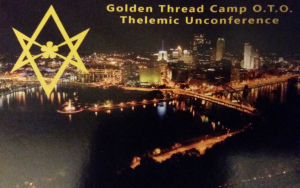 “Join Golden Thread Camp for a weekend of Thelemic fellowship and education using a unique meeting style called an unconference. An unconference uses Open Space Technology to create a dynamic, fluid conference where participants bring their knowledge and passion to the event. Unlike the typical conference where a set schedule is planned weeks or months in advance, the classes are developed at the beginning of the meeting by the participants themselves. “Attendees are encouraged to share their passion and knowledge on all Thelemic and Magick-based topics. “Different teaching methods including round table discussions, hands on workshops, practice sessions, etc can all be conducted within the unconference space. “Some ideas for classes could be (but are not limited to): a roundtable discussion on feminism and Thelema, a hands on workshop on how to conduct a ritual only using common implements in your car(MacGuyver Magus! ), a practice session for working on with the Star Sapphire, etc. etc. The topics however are endless and are only limited to one’s Will. “The weekend’s festivities include a Meet and Greet on Friday at a local restaurant, the unconference itself on Saturday (including lunch buffet and all day snacks/drinks) plus an evening ritual and a pancake breakfast/further discussion on Sunday.